As of now, Europe’s flat glass industry sets itself on a path to maximize its contributions to the European 2050 ambitions. Our industry intends to deliver Performance, Sustainability and the Production Capacities needed for Europe’s low carbon future. 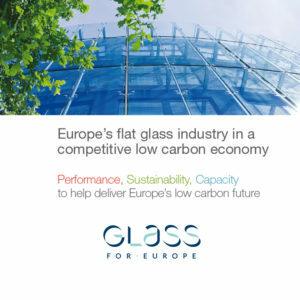 The flat glass industry, through its products, its research and manufacturing activities, and its sustainability policy, has an active role to play in shaping Europe’s future of a competitive low carbon economy.